Rex Rabbit Fur : what we use we can promise is 100% real Rex rabbit fur and We never sell fulse fur. Rex rabbit fur is p lush fine, rich, short and flat, bright and clean appearance, touch the fur has a cool feeling.Rex rabbit fur will be more comfortable than usual rabbit fur. 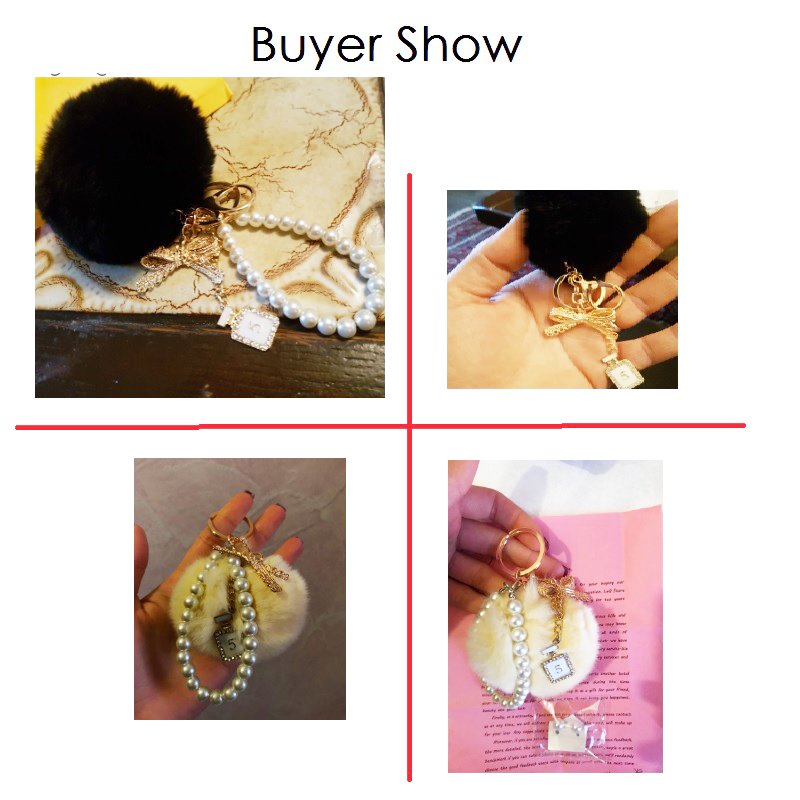 Tips: If you receive the fur ball keychain, the fur ball is not round, may be the keychain was squeeze on the way of shipping ,because the ball is real fur so it is easy to be restored round , if use the hair dryer blow will restore round shape more easy. If the product broken on the road or it broken,or arrived to late ,or any peoblem. you can contact us first ,we’ll resbonsible to the end until you satisfied . Nice product. Very soft fur. There is a little gift and note attached. It was very thoughtful on the part of the seller. Super cute thank you so much! Thank you for my free gift!